Mount Kerinci (3805m) is the highest volcano in Indonesia. Eruptions happen frequently, tigers are roaming around and I was there to climb it at the height of Ramadan. Could I deal with it? Gunung Semeru (3676m) is the highest mountain in Java, and one of the most active volcanos in Indonesia. In 2010 we turned back due to volcanic activity, but 3 years have passed and we're back to make a new attempt. Gili Islands are three small islands just offshore of Lombok, and a well deserved beach holiday after a strenuous 3-days trek to Gunung Rinjani. Gunung Rinjani (3726m) is the tallest mountain in Lombok and the second highest volcano in Indonesia. It takes 3 long days to do the full traverse of Rinjani including the crater lake, and we enjoyed every moment of this wonderful trek and the spectacular scenery. I've actually been to Gunung Agung (3031m) before, sometime back in 2001. But then I only reached the false summit on the wrong side of the crater rim. 12 years later I came back to finnish the business. 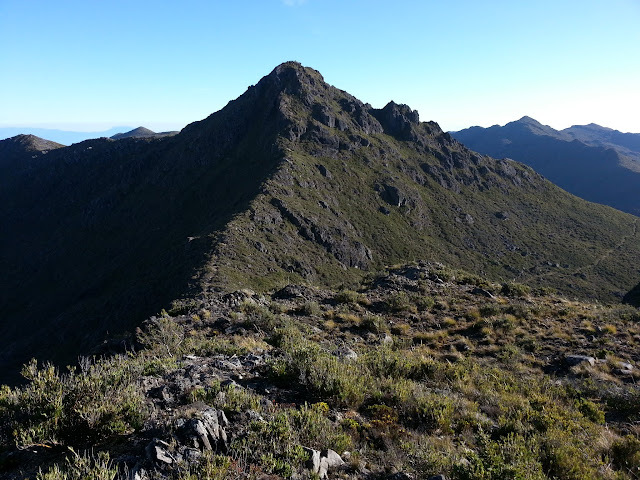 Mount Ramelau (2986m), sometimes referred to as Foho Tatamailau, is the highest peak in the young sovereign state of East Timor (Timor Leste). The hike itself is very straightforward. The biggest challenge is to get to the foot of this mountain. 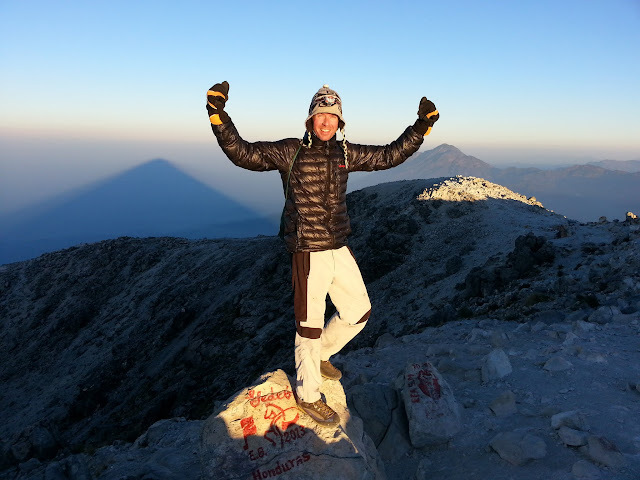 Photo journal from Volcan Baru (3474m), the highest mountain in Panama. 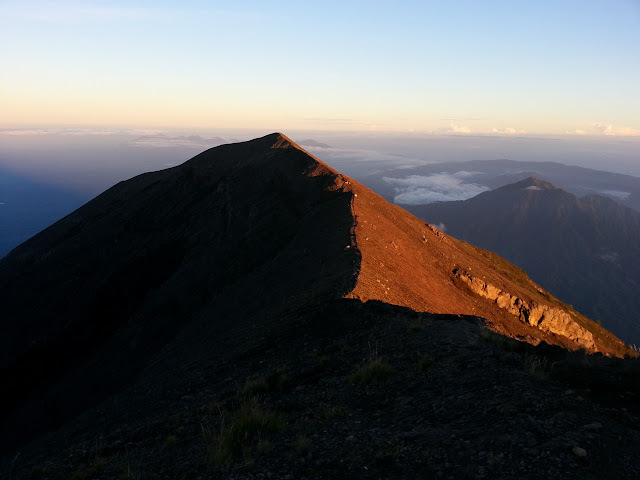 Photo journal from Cerro Chirripo (3820m), the highest mountain in Costa Rica. There is a lot of potential landmines lying around on Cerro Mogoton (2107m), but Roberto from Nicaragua safely guided us to the tallest mountain in Nicaragua. Cerro El Pital (2730m) is the highest mountain in El Salvador. 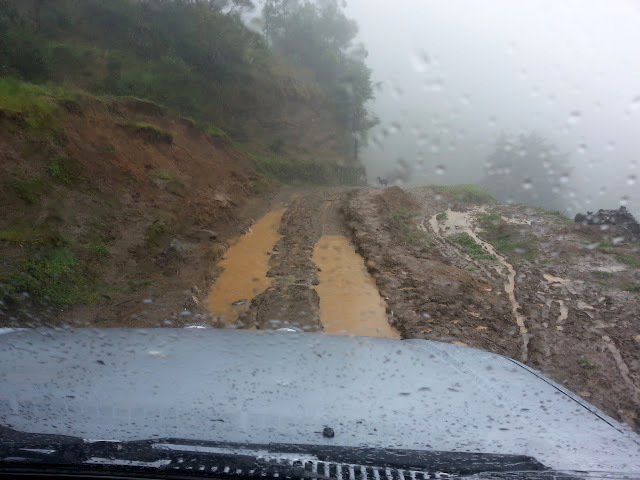 It's also the easiest country high point in Central America because there is a road almost to the summit. Cerro Las Minas (2870m) is the highest mountain in Honduras. We expected a remote jungle experience, but it was more like a long walk in the park. 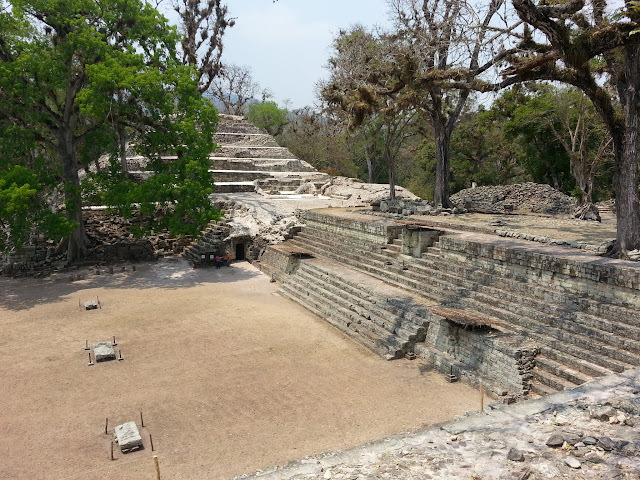 Copan Ruinas is a "hidden" treasure in Honduras, and the lack of tourists in this troubled country will make sure it remains tranquil for the unforeseeable future. 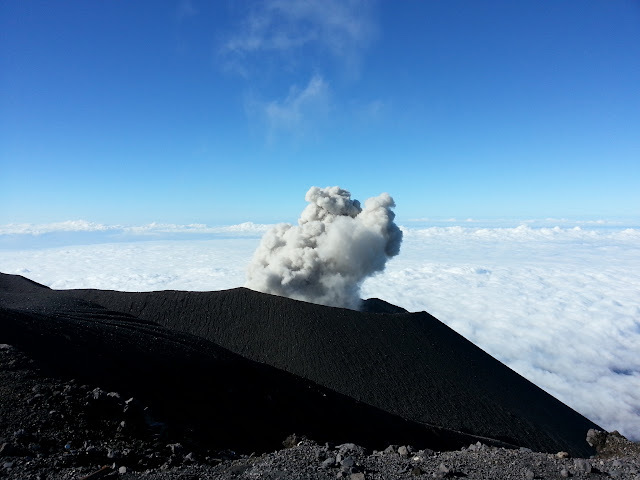 We were supposed to climb a couple of volcanoes in Antigua, but things didn't turn out as planned. It might be wrong to say that we wasted 3 days in Antigua, but that's exactly what we did, at least from a mountaineering point of view. 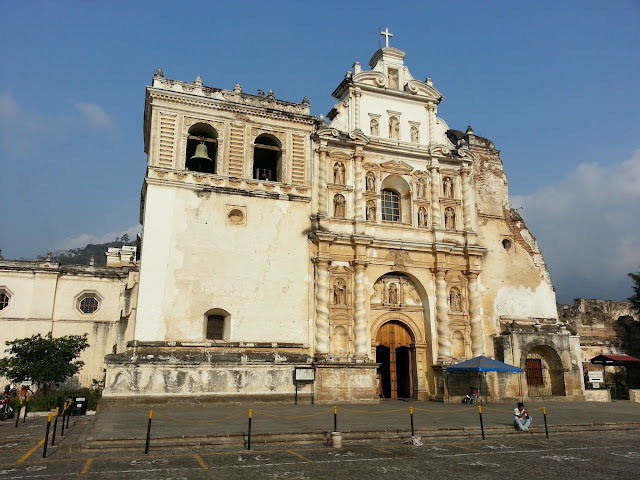 Santa Maria (3772m) towers like a pyramid above Xela and protect this city from the very aggressive Santiaguito crater on the other side of its slope. It's notorious for armed robberies on the trail. Tajumulco (4220m) is the highest mountain in Guatemala and Central-America. 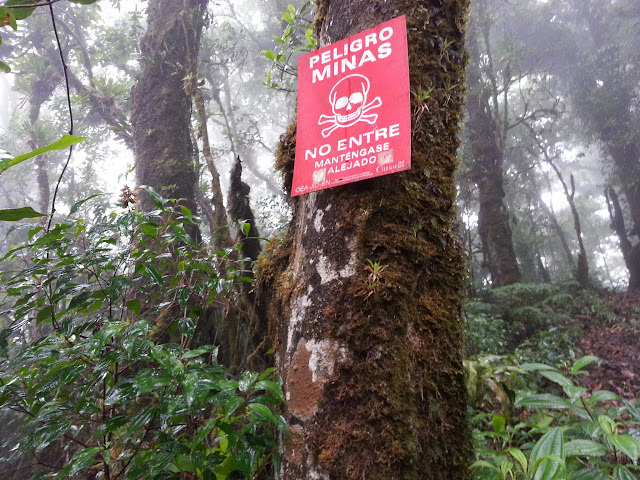 Unlike the other volcanoes in Guatemala, it's considered very safe, except for the dangerous chicken bus to/from the trailhead. 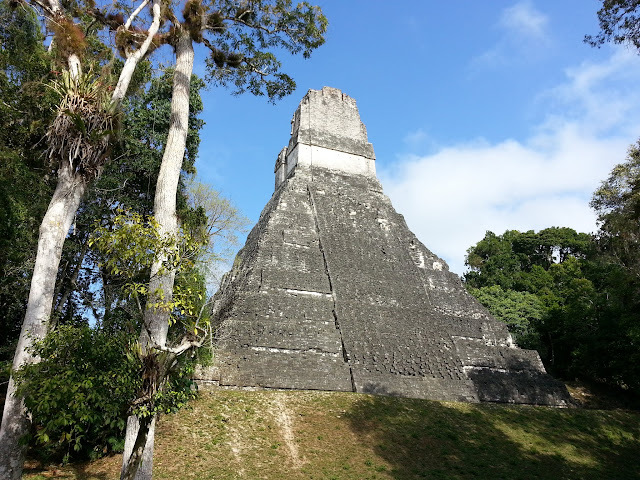 Flores and the nearby Maya ruins of Tikal is maybe the most famous place in Guatemala. 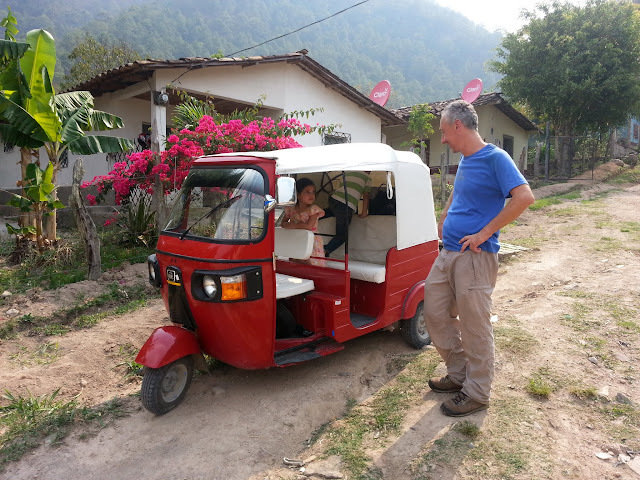 Words from other travelers told us that this was going to be one of the highlights of our trip in Central America. 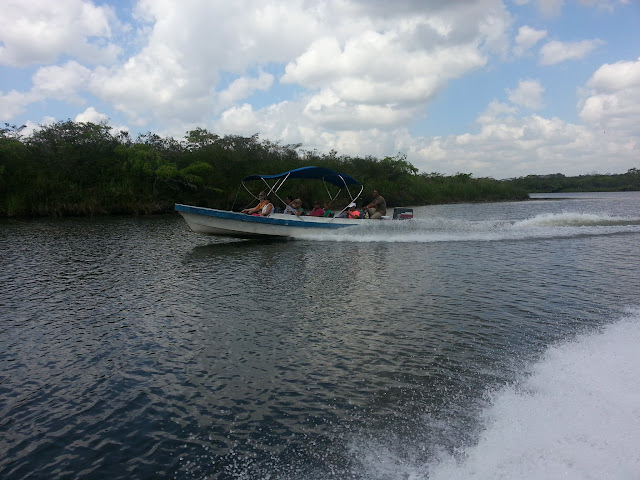 Entering Belize on Good Friday in the Holy Week, proved to be more difficult than we had anticipated. 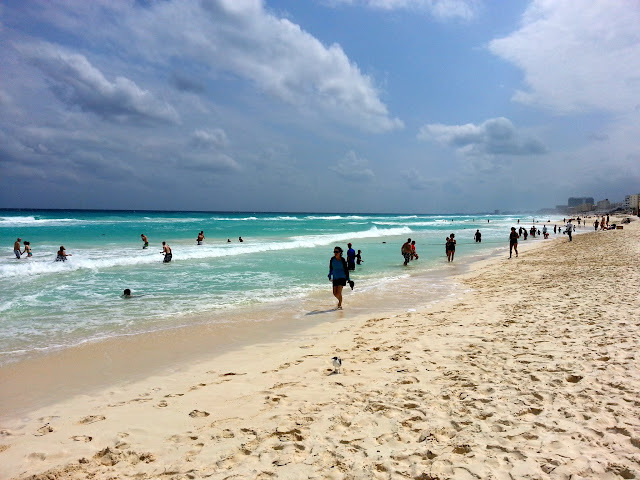 Luckily we were able to get all the way from Tulum to Orange Walk Town in one day. 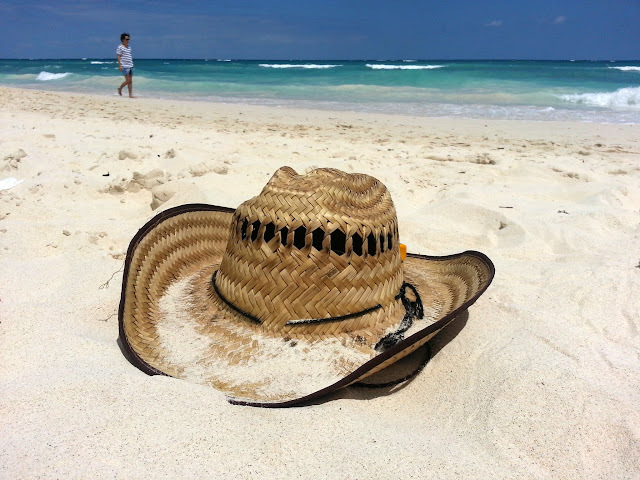 I certainly like Tulum more than Cancun. Less tourists, much less developed and some lovely Maya ruins on a tall cliff above the white beach. Cancun was not part of our original plan. But I had to go there to pick up my new passport, so why not enjoy the perfect white beach on the Caribbean coastline. 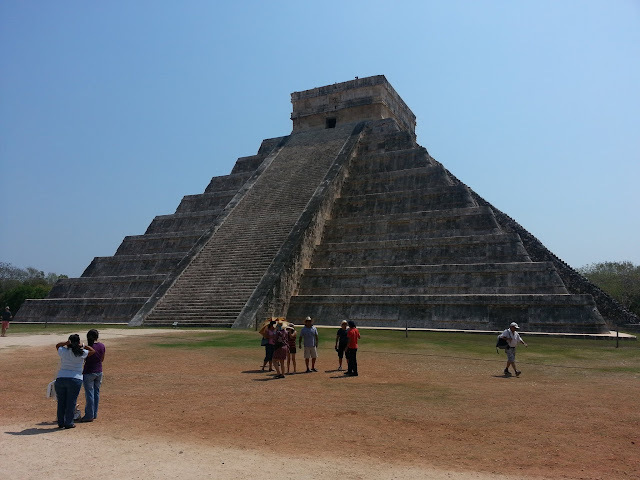 Chichen Itza is the most famous Mayan ruins in Mexico. It was a nice experience, but thousands of annoying souvenirs vendors occupied the site, and we couldn't climb any of the pyramids. 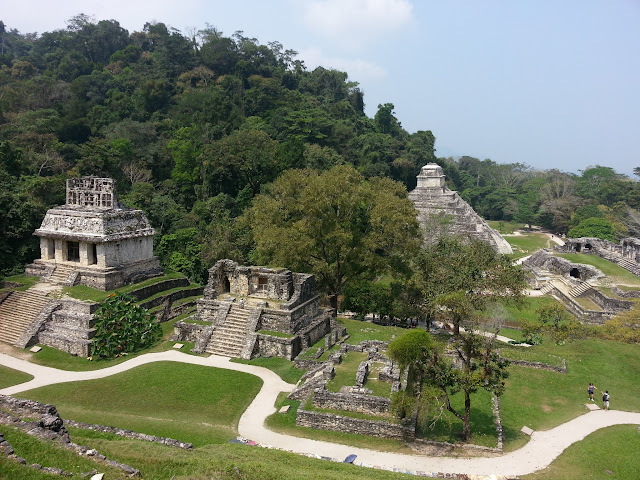 Palenque is a prime example of Mayan culture and has a spectacular location in the dense jungle of Mexico. 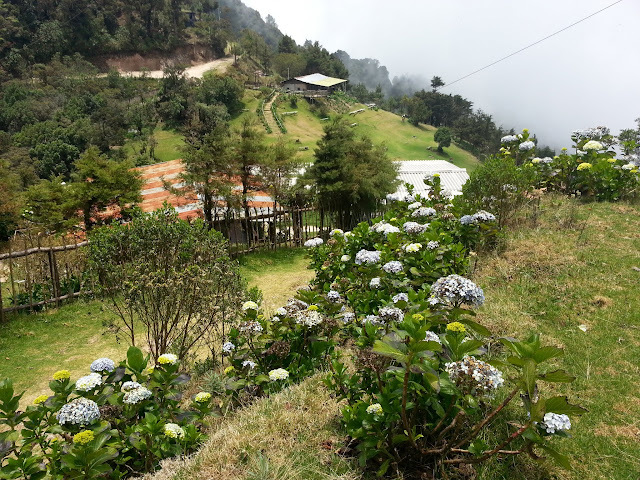 It took us almost 24 hours to get from the slopes of Orizaba to Palenque. Pico de Orizaba (5636m) is the highest mountain in Mexico and the third highest in North-America. We almost failed to summit due to bad weather. The La Malinche volcano (4461m), also known as Matlalcueitl, is the perfect place to acclimatize before a climb to Pico de Orizaba. 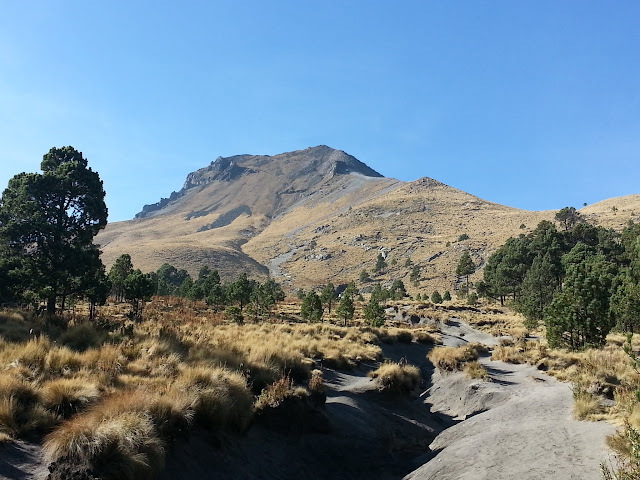 La Malinche is also a very prominent mountain. Four Mexican bandits, high on drugs and armed with guns, robbed our bus outside of Mexico City. A quite scary experience that I hope will never happen again. I was not aware of this big happening at all and it was such a nice bonus after doing the highest peak in Brunei. Just share luck to be at the right place at the right time. Bukit Pagon (1850m) is the highest peak in Brunei and according to our guide Haddy, only 50 people have been to this summit, hence a pretty exclusive peak. Mount Isarog (2000m) is an ultra prominent volcano near Naga City, and one of the most boring hikes I've ever done in the Philippines. Mount Arayat is a beautiful volcano in Pampangas, north of Manila. I've seen it plenty of times from the highway during the last four years, and finally it was time to climb it. Mount Maculot is the highest point on the vast rim around Taal Lake. A new trail has recently been opened to replace the old trail, which is full of rubbish. 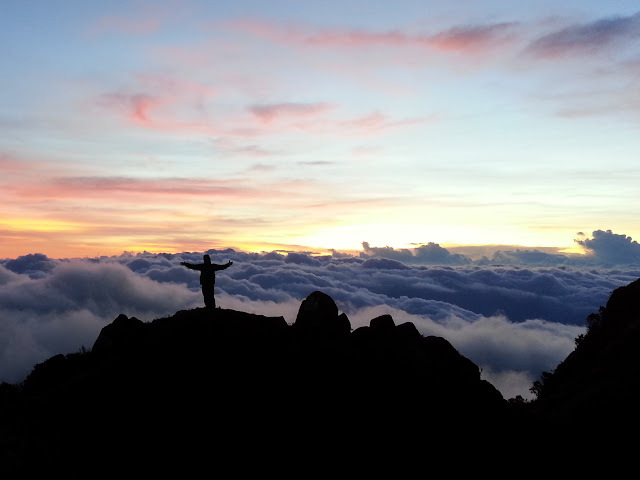 Mount Batulao (811m) is one of the most scenic and popular day hikes near Manila. The weekends crowds coming from Manila have a bad habit of leaving their trash on the trail. Camiguin Island is almost like a Philippines in miniature. It offers a wide variety of attractions, from white beaches to volcanos and hot springs, not to forget the delicious Lanzones fruit. Mount Timpoong (1630m) is the highest volcano on Camiguin Island, making it one of 29 ultra prominent peaks in the Philippines. 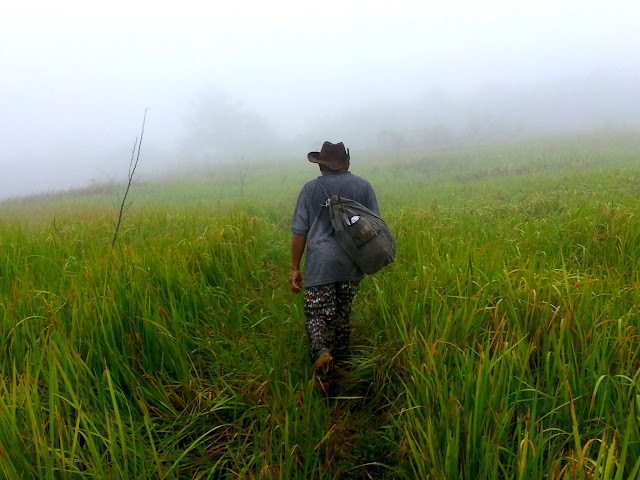 Unlike its popular neighbour, Mount Hibok-Hibok, only a few hikers have reached the summit of this "virgin" peak. Mount Hibok-Hibok (1332m) is not the highest peak on Camiguin Island, but it's definitely the most popular. After the hike don't forget to take a bath in the hot spring pools. Before you go to this island, just make sure you got enough money, especially if you are a holder of an international visa card, otherwise you’ll end up like us. The famous boxing champion Manny "Pacman" Pacquiao is from General Santos City and his favourite local beach is probably Gumasa. Mount Matutum (2286m) is an ultra prominent volcano in Mindanao. It's an active volcano so we were a bit worried about spending the night on the summit. We decided to take a few days away from the bustling city life in Cebu City, so we went to Bohol Island to do Mt Mayana (870m) and spend some time on the beach.